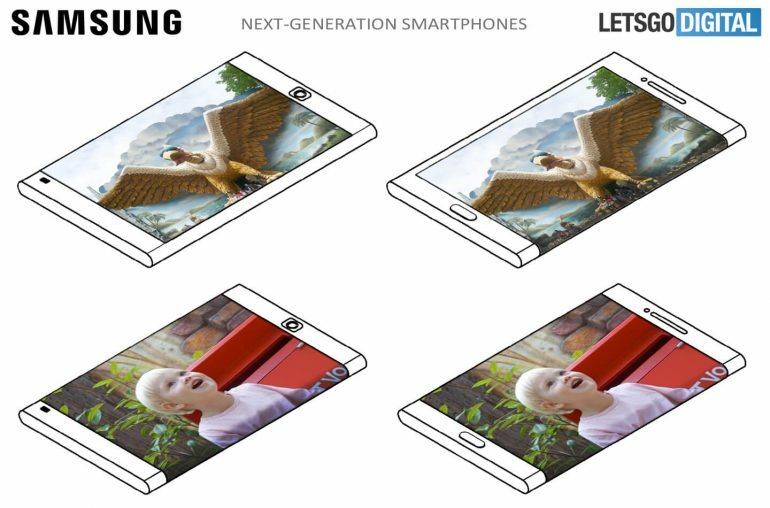 This is what Samsung is currently planning for the future. Samsung uses curved display technology in phones like the Galaxy S8. Now it's trying to figure out how it's going to use that technology to completely change the way smartphones look in the future. According to a new discovery by LetsGoDigital reveals Samsung several ideas for the future smartphone designs featuring a display that wraps around both the front and back of a handset. The patent was registered with WIPO and it includes three different concepts, all have a display on the rear side of the device. 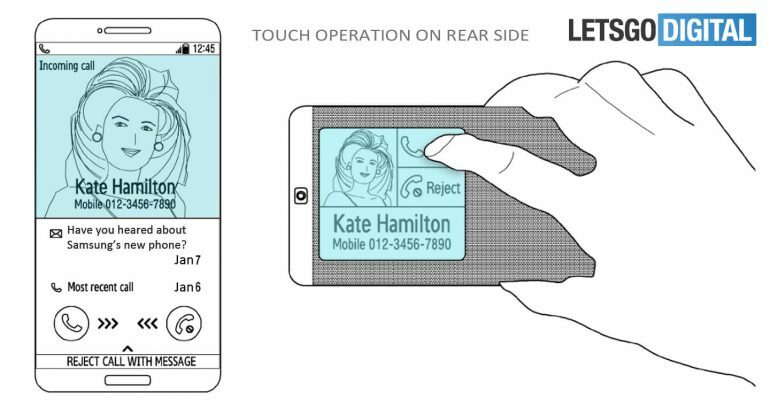 The first design shows a smartphone with one continuous display that wraps all the way around the right side of the handset, giving it the look of having two displays on the front and back of the device. This would allow users to have two options for viewing on the device. 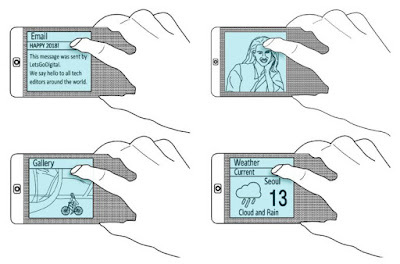 this model can switch viewing positions from front to back depending on how the user is holding the handset. Imagine such a device that would allow multiple users to view the same content from either side of a handset at the same time, rather than huddling around one screen. 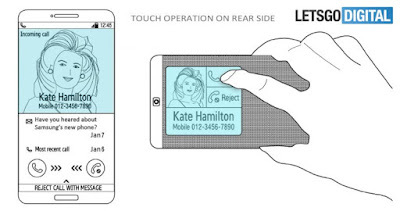 The second design shows a screen that wraps around the full body of a device, but it includes sensors that account for where a user may hold the device. 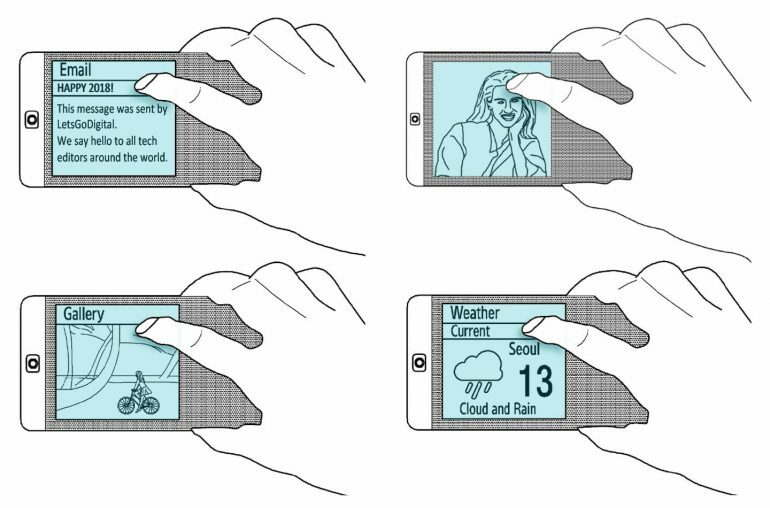 This design would allow the content to flip between the front and back screens but will shrink the display away from the user's hand depending on how they are holding the device. The third model also shows a touchscreen that runs all the way to the back of the device, but this time via the bottom, instead of the side.